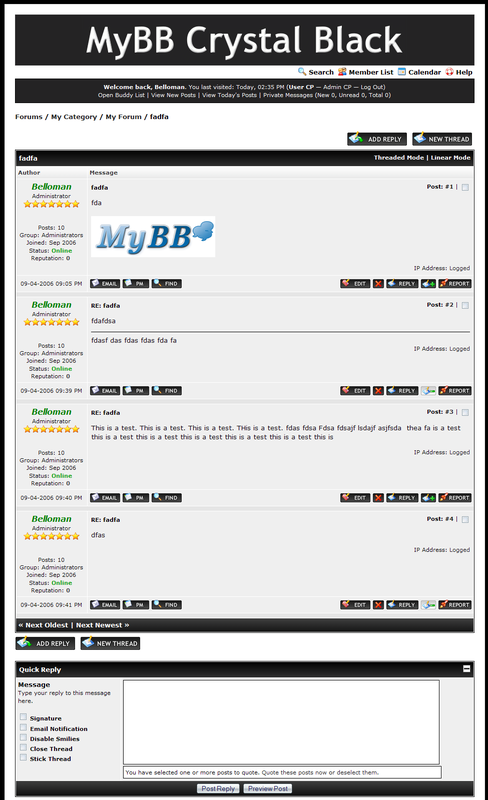 Crystal Black is a simple black and white theme for the MyBB 1.2.x series and is part of the MyBB Crystal Theme Series. It isn't too far from the default, but adds a lot of punch with the clean and clear black and white color scheme. Crystal Black has been posted at the Community Forums here. More details on the MyBB Crystal Theme Series can be found here. 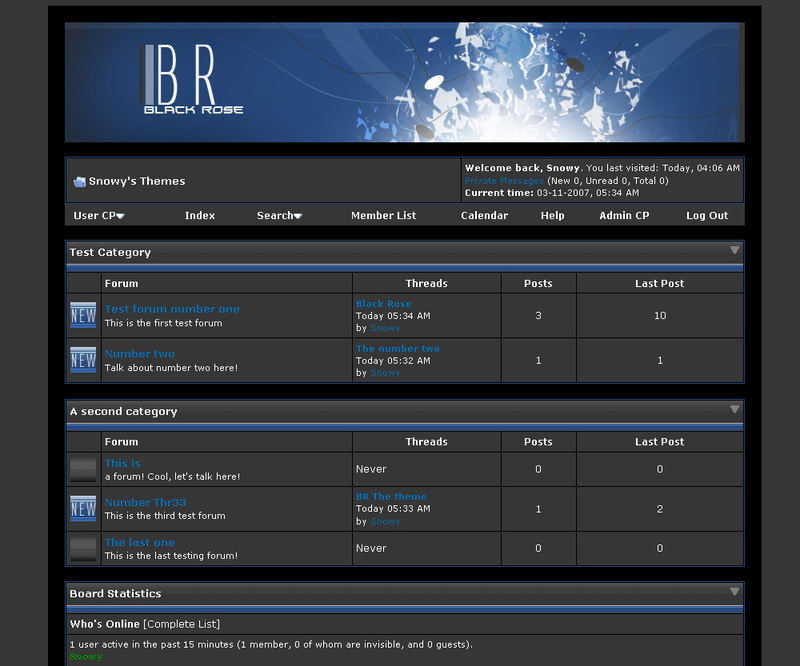 A simple black and white theme for MyBB. Theme in Grüntönen mit fester Breite.